Can you believe it's been twenty five years since the release Heir To The Empire? The Thrawn trilogy of books is largely considered to be the foundation on which all the Star Wars Expanded Universe(or "Legends" as it's now called) is built upon, and helped bring the saga back from dormancy prior to the Prequel trilogy films. Now, more than two decades later, the beloved books are making a huge comeback. At Star Wars Celebration Europe this year it was announced that Grand Admiral Thrawn, the blue skinned, red eyed main antagonist of the books, would be appearing in the Star Wars Rebels animated series. In addition, it was revealed that Timothy Zahn, who wrote the Thrawn trilogy, would be returning to write a new canon novel titled Thrawn that will precede the character's appearance in Rebels. 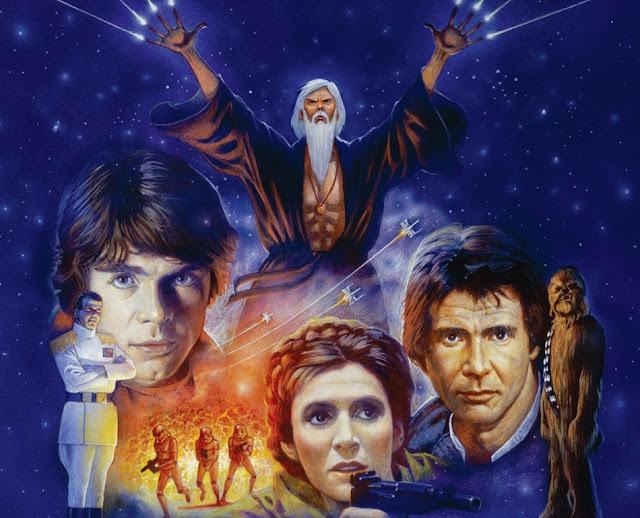 Thrawn's reintroduction into the canon story has drawn renewed interest in the Thrawn trilogy, and it looks as though Lucasfilm is planning to capitalize on it. 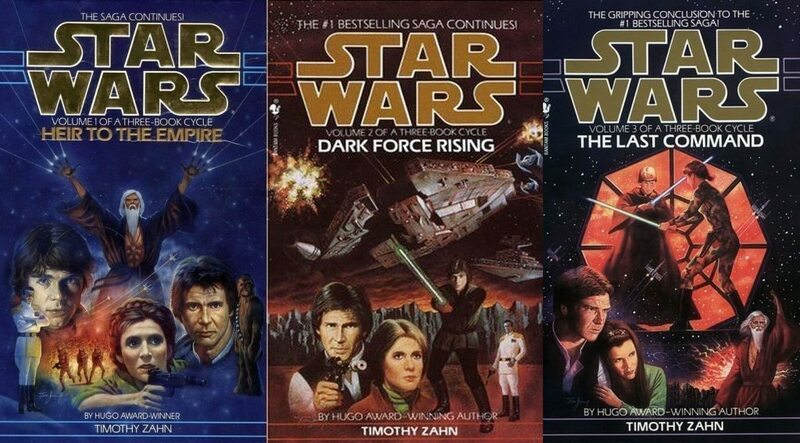 Florian at Jedi Bibliothek has uncovered a listing for an upcoming re-issue of the Thrawn Trilogy which will be getting a long overdue facelift. Reportedly, all three books of the trilogy, including Heir To The Empire, Dark Force Rising and The Last Command, will be receiving new cover artwork in this release. The iconic artwork on all three novels has received only minor changes since their release in the 1990's, so it will be exciting to see some updated imagery for these stories. The re-issue is set for release on September 27th!